Russell Riviere is a zealous advocate for his clients’ business and personal interests. 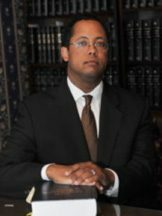 Mr. Riviere earned his Bachelor of Arts degree from the University of Florida in 1996, followed by his Juris Doctorate from Georgetown University Law Center in 1999. That year, Mr. Riviere moved to San Diego, where his practice has since flourished. Russell F. A. Riviere, Esq. Mr. Riviere’s estate planning and probate practice includes drafting trusts, wills, advance health care directives, durable powers of attorney and related documents, administering trusts and handling probates of estates. Mr. Riviere is committed to ensuring that with proper advice and guidance, his clients’ families and assets are protected. Mr. Riviere’s business and transactional practice involves all aspects of his clients’ businesses, including, but not limited to, forming companies, managing mergers and acquisitions, negotiating and drafting purchase and sale agreements, non-competition and non-solicitation agreements, promissory notes, security agreements and service agreements. Mr. Riviere also has extensive experience representing franchisees, negotiating and preparing franchise agreements and enforcing franchisees’ rights. Mr. Riviere is also an experienced litigator having litigating cases involving probate law, employment law, business law and securities law, representing employees in discrimination, sexual harassment and wrongful termination cases, representing individual shareholders in fraud, misrepresentation and breach of fiduciary duty cases and representing institutional shareholders in complex class action securities fraud litigation in federal courts throughout the United States. Mr. Riviere’s diverse professional experiences ensure he can provide the full measure of legal services that clients seek and deserve. In addition to his transactional experience, Mr. Riviere has extensive experience litigating cases. Mr. Riviere has experience in cases involving employment law (representing employers and employees in discrimination, sexual harassment and wrongful termination cases), business law, securities law, representing individual shareholders in fraud, misrepresentation and breach of fiduciary duty cases; and representing institutional shareholders in complex class action securities fraud litigation in federal courts throughout the United States.